For both of the past two Blue-White Games, the estimated attendance has been 71,000. That ranked Penn State No. 4 among all spring games last year. Nebraska, all hot and bothered over a brand new Frost was first, at 86,818, followed by SEC CFPers Georgia (82,184) and Alabama (74,732). I bet Penn State’s attendance is close to #77k on Saturday. That should put the Nittany Lions’ exhibition in the Top 3 of the 183 college football spring games being held this year — with 95 of them on Saturday, according to fbschedules.com. The record attendance for Penn State’s annual football scrimmage is 76,500, set in sunny, 80-degree conditions on April 25, 2009, which came on the heels of the Nittany Lions’ 11-2 season in 2008, when they won a share of the Big Ten title and played in the Rose Bowl. The RealFeel will be 76 degrees at kickoff. Honestly, though, the real feel will be more for the Blue and White part of the game — for the homecoming, for the tailgates, for the fun, for the feel-good stories rather than the actual game. After all, wasn’t it James Franklin who implored a room of a couple hundred drunken crazy students last Friday night at Champs Downtown “to show these guys how we party in State College”? Of course, as he heads into his sixth spring game at Penn State, Franklin also gets what the Blue-White Game is all about. And like Central Mountain’s very own Von Walker, an incredibly likeable and versatile walk-on who played so well in the 2015 Blue-White Game that I mused he was the “most interesting man on Penn State’s defense.” Just two days after that story ran, Walker got put on scholarship — the result of my article, I’ve told him...and he agreed. Still, at their core, those stories are as much about Blue and White as they are about football. When you boil it down, Penn State’s final official “practice” of the spring season is more of a celebration than a close examination of whether Lamont Wade has mastered the switch to safety or if Sean Clifford is legit competition for Tommy Stevens to win the No. 1 QB job. Franklin said so on Wednesday. “This weekend is, obviously a huge weekend, I found out around here,” Franklin said. “Obviously, Blue-White weekend is a huge weekend for Penn State football. It’s a big weekend for the campus. There are so many things built around it — other sporting events, other university events, fund-raising activities, all types of stuff. It’s important for our community, the restaurants, the bars, all of it. So, we’re just a small part of it. That all types of stuff includes: a pre-game autograph session at the stadium, a fan fest and a surplus athletic equipment sale. There are Penn State home games and matches in tennis, softball, baseball and golf. There’s an alumni field hockey game, a figure skating show in Pegula on Saturday night, and the Paterno Family Beaver Stadium Run on Sunday. Plus, a bit of football as well. The Blue-White Game on Saturday counts as one of Penn State’s 15 NCAA-permissible practices this spring. Franklin’s squad has already had 13 real practices; plus, there’s a walk-through on Friday and the game on Saturday, which gets them to 15. 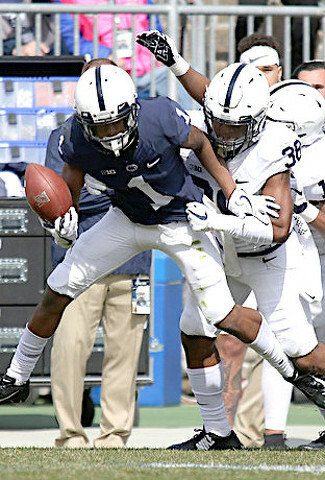 It is those 13 practices before the scrimmage on Saturday that impact the 2019 Nittany Lions’ development the most. “The spring game — I do think there is still value to going to the stadium and competing in that environment, especially when we get 75,000 people to show up for the game,” Franklin added. An event being hosted later this month in Boalsburg will have the goal of packing 150,000 meals and 22,500 seed packages to send to Middle Eastern refugees. 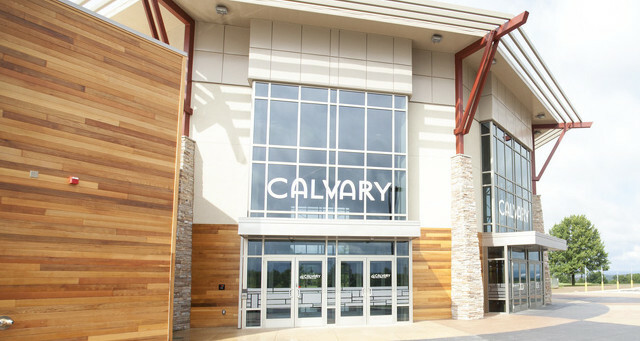 Calvary Harvest Fields, 150 Harvest Fields Drive, will host PackHope on April 28. PackHope is an initiative of the humanitarian nonprofit Global Aid Network (GAiN).